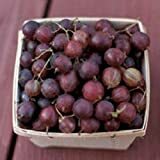 Gooseberry growing shrub‎ of the genus Ribes also known as Gooseberry, Gooseberry perennial deciduous plant can grow in temperate, cold mediterranean or cold subtropical climate and growing in hardiness zone 3-8. Leaves color green in lobes shape with serrated edge, it is thorny plant. Flower color green the size 1-3 mm, grow in clusters, 3-8+ flowers in cluster. Fruit color can be yellow, green, pink, red or purple sometime with dots the size 0.5-4 cm. 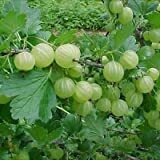 HOO PRODUCTS - 25pcs/bag Impressive Rare Ceylon Gooseberry Seeds, Latern Fruit Seeds, Garden Bonsai Seeds gooseberry plants for sale Hot Sale! Green flower the size 1-3 mm, grow in clusters, 3-8+ flowers in cluster. What can be done with big quantities of Gooseberry fruits?